Can You Visit Canada While in a DUI Diversion Program? If a person has never before been arrested for driving under the influence of alcohol, then depending on the exact circumstances of their DUI incident they may be given the opportunity to participate in a pretrial diversion program or deferred prosecution program. These programs are typically run by either the police department, district attorney's office, court, or an outside agency, and often have names such as "First Offenders Diversion Program" (FODP) or "DUI Pretrial Diversion". The main purpose of a DUI deferral program is to allow a person to avoid criminal charges and a criminal record provided they clean up their act and complete the various requirements of the program. These requirements can include paying a fine, community service hours, installing an Ignition Interlock Device (IID), attending a drug safety action program or alcohol treatment program, or making a cost reimbursement to the arresting law enforcement agency. When it comes to crossing the Canadian border with a DUI that has been diverted or deferred, until a person has finished the entire diversion or deferment program and has documents showing the final result he or she can be considered criminally inadmissible to Canada and denied entry. Even if there was no admission of guilt required to participate in the program, the Canadian border will be able to see the original drunk driving arrest and will assume guilt without documents showing a "no conviction" result. Similar to individuals who have been arrested for a DUI but are awaiting trial, while participating in a DUI diversion program or deferred adjudication program a criminally inadmissible person must be issued a Temporary Resident Permit (TRP) before they will be permitted to enter into Canada. In general, Deferred Prosecution Agreements or DPA's are a great alternative to a criminal conviction, but it is important to understand that they do not necessarily make traveling internationally any easier until after a person has completely finished and has documentation proving a favorable "no conviction" result. Until this point in time, since there is no presumption of innocence for the purposes of traveling to Canada, being enrolled in a diversion or deferred judgment program can essentially be treated the exact same at the Canadian border as a standard drunk driving conviction. Consequently, an American may be criminally inadmissible to Canada and denied entry without a Temporary Resident Permit. Even after a person has graduated from a DWI diversion program, it can be a good idea for them to have an immigration attorney draft up a legal opinion letter explaining to officials at the Canadian border why the individual is admissible to enter the country despite a DUI arrest appearing on their criminal record. In some cases, such as non-convictions that involved a finding of guilt or a guilty plea, Canada may still treat the offense similar to a conviction and require the person to obtain special entrance permission. A DWI is a serious crime north of the border that can result in a prison sentence of up to ten years, so any arrest related to impaired driving can cause genuine concern at the Canadian border. Want to visit Canada during or after a DUI diversion program? Contact our legal team now for a free consultation. Often referred to as "CWOF", continuance without a finding is when a defendant essentially pleads "no contest" to a DUI or DWI but instead of being convicted is formally placed on probation. Once the defendant satisfies the conditions of probation, the court dismisses their case without a conviction. Americans who have had a DUI dismissed in this manner may be permitted to travel to Canada again without requiring special entrance permission. Until the time of the dismissal, however, the person may be considered criminally inadmissible and need a Temporary Resident Permit or Criminal Rehabilitation if they want to cross the Canadian border. The reason a person may not be eligible to travel to Canada before the very end of the CWOF process even though they have not officially been convicted of a crime is not just because of their admission of guilt (or admission to facts sufficient to support a finding of guilt), it is because there is no presumption of innocence when it comes to admission into Canada. The requirements for entry into Canada from USA place visitors with the responsibility to prove their admissibility, so unless a traveler has proof of a favorable ruling after an arrest, they may be barred from the nation. A suspended imposition of sentence or "suspended imposition" is when a court places a defendant on supervised or unsupervised probation during which time if they violate the terms at any point they can be sentenced after a hearing. 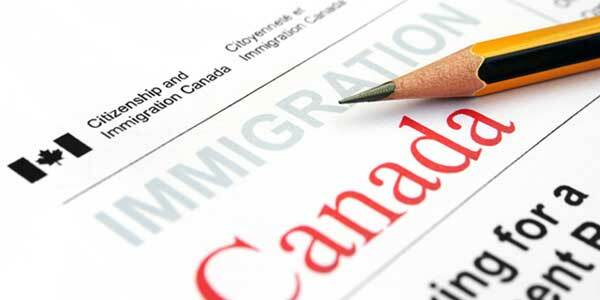 During the period of probation, individuals who have received an imposition of sentence may be considered criminally inadmissible to Canada and may require a Temporary Resident Permit. Upon successful completion of probation as well as any other attached conditions, Canada can still consider the offense to be a conviction if it transpired in several states meaning the person can still be denied entrance at the border. In some states, however, a suspended imposition of sentence (SIS) can be considered a non-conviction by Canada meaning the individual may be admissible to Canada again although they may need to prove their admissibility at the border. Why Am I Still Inadmissible? In the United States, you are considered innocent until proven guilty in the court of law. Being permitted entry into a foreign country such as Canada is a privilege not a right, however, and consequently as soon as immigration officials notice that a visitor has an arrest record they are free to deny that person entrance even though they have not yet been convicted of the crime in their home country. For this reason, even if you did not need to plead guilty in order to begin your DUI deferment program, you may still be considered criminally inadmissible to Canada until you have fully completed the process or have been issued a TRP. Some deferred judgment DUI programs take years to finish, so if you need to travel north of the border anytime soon, you may require a Temporary Resident Permit to avoid being refused entry by border security.